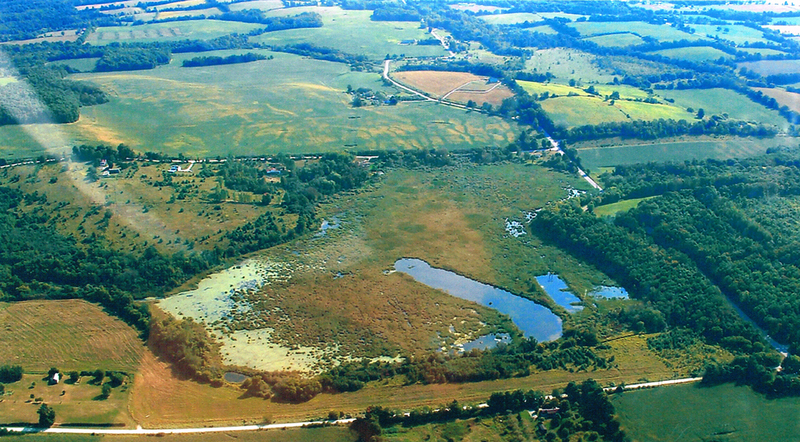 This 138 acres of Class 1 Provincially significant wetland drains into a tributary of the Cold Creek. 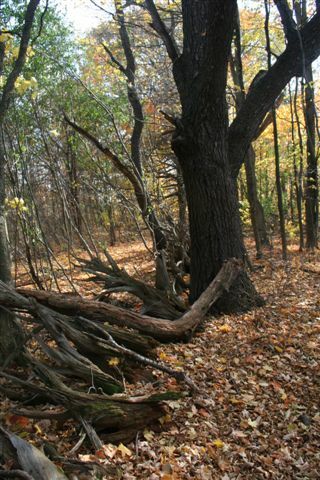 The property includes the diverse habitats of pond, creek, forest, and meadow. Many birds, fish, reptiles, amphibians, insects, mammals, and plants find refuge on the property. Some are rare and at risk. Significant species noted on site include: Green heron, Bittern, Snapping turtle, Monarch butterfly, Blanding’s turtle. Murial Braham at the 2002 parade float (Canada Day). Click here to view video interview of Murial at the Marsh (Teaching Guide Included) This link is currently not working but we are working on locating the correct link. Celebrating over 20 years, the Lone Pine Land Trust story began in 1991 with the vision of the late Murial Braham, whose love of a beautiful wetland located in Cramahe Township led her to purchase the original eighty-four acres. 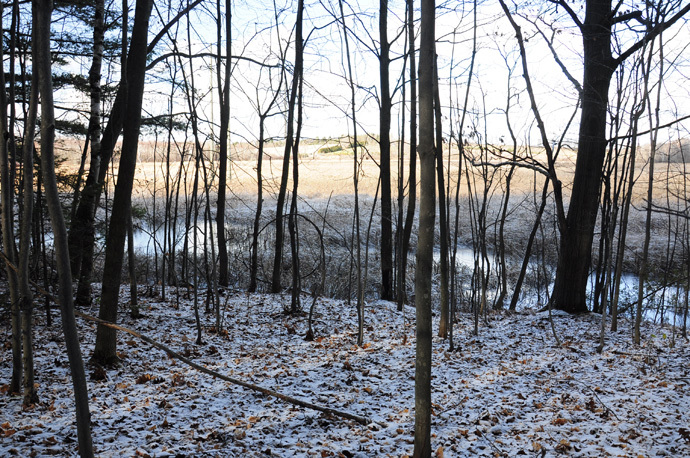 The Lone Pine Marsh, a Class 1 provincially significant wetland in Cramahe Township in the County of Northumberland, was purchased by Murial Braham in 1991 and 1993 in order to protect its natural heritage values. 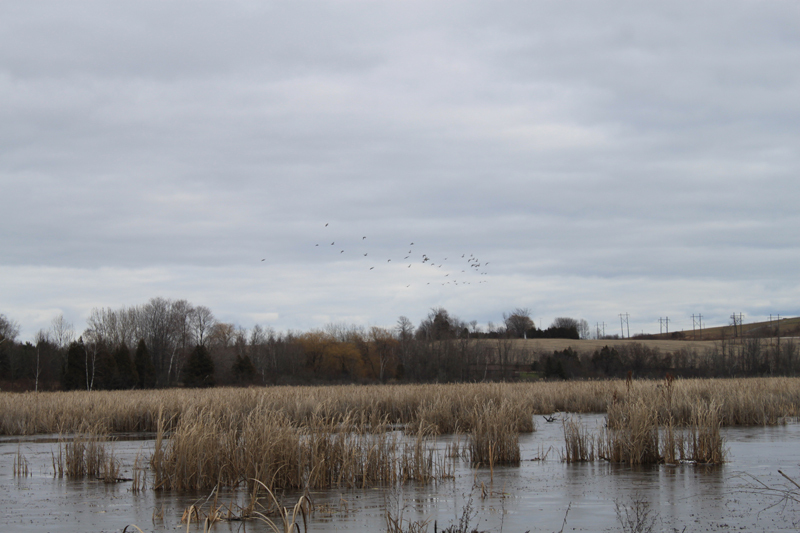 Following the purchase, and with a view to protecting the wetland in perpetuity, Murial requested the Ontario Heritage Trust to place a natural heritage conservation easement agreement (HCEA) over the 84 acre property. And then Murial got to work! Galvanizing the community, Murial worked to form a local land trust dedicated to owning, stewarding and preserving the Lone Pine Marsh property. In 1996 a local non-profit organization, the Lone Pine Marsh Sanctuary Inc. (now Lone Pine Land Trust), was formed and Murial donated the 84 acre Lone Pine Marsh property to the land trust. Fundraising began…and so did Murial’s jam-making. Hundreds of jars of jam appeared throughout Cramahe and Grafton, quickly followed by bags of heartnuts. Soon came Auctions under the Big Tent at the Lone Pine Marsh location and a generous outpouring of donations. 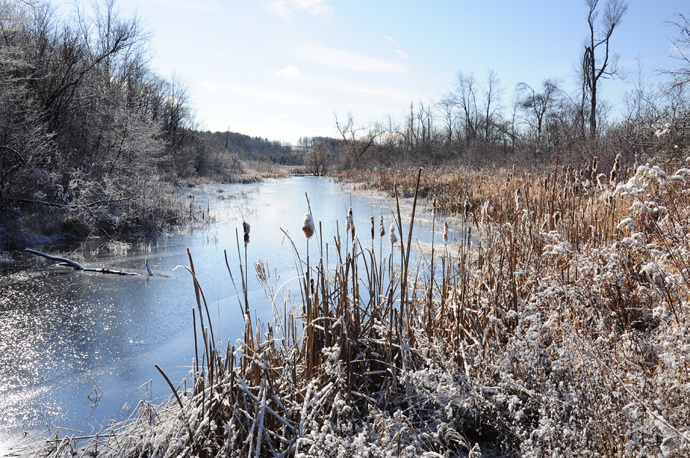 Through fundraising and amazing community support, an additional fifty-four acres of swamp and buffer lands of agricultural fields around the marsh was purchased and stewarded by the land trust. Volunteers have donated countless hours over the years to restore this buffer zone to a grassland habitat, and our community has now been rewarded with the return of bobolinks and other grassland birds. Aerial photo of the Braham tract. Murial Braham, founder of Lone Pine Marsh Sanctuary. Geese fly over the pond at the Braham tract (Nov 2010). Old treeline at the Braham tract.